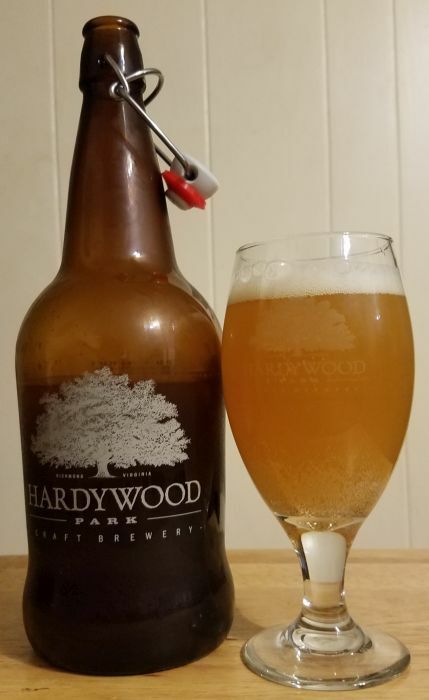 Further and Farther is a collaborative IPA by Hardywood and Right Proper. It pours very cloudy yellow with an average head. The aroma is super juicy. Tangerines, pineapple, mango, and a little bit of green pepper show up on the nose. 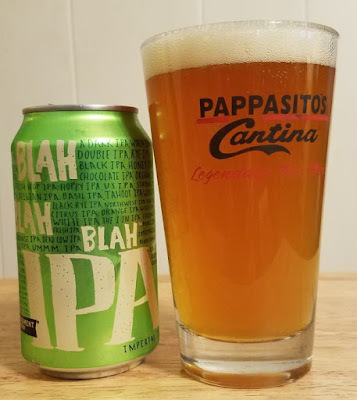 The flavor opens juicy but then close very sharply bitter and dry. 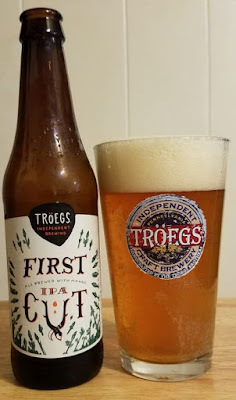 Almost acerbic in the finish, but not enough to amount to a bad brew. 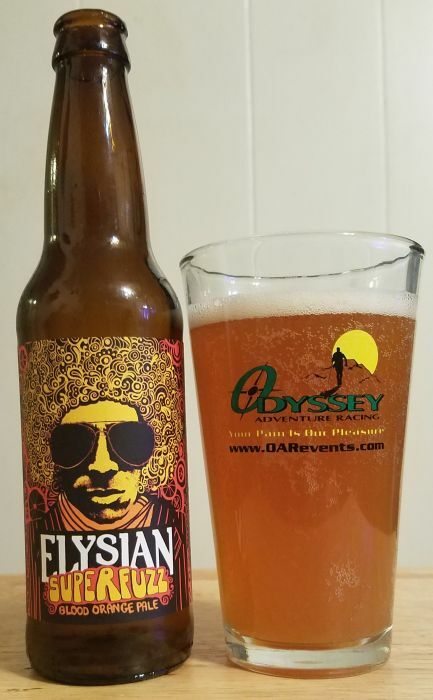 Very interesting experimental beer. 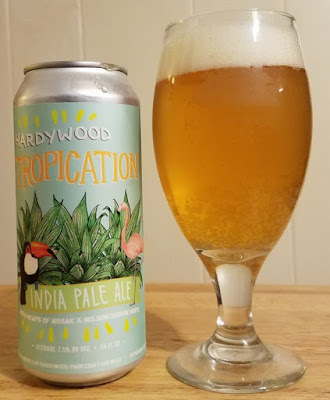 Tropication is among Hardywood’s better IPAs. It is not in the same league as the fantastic Empress Evelyn. But I think it’s stronger than Hoplar or the recent Quadrahop, and bigger tasting than Great Return. It pours hazy orange with a little foam. The aroma is big and juicy, the tropical fruit in the name and mentioned on the label comes through big on the nose. The flavor has some of the juice but closes drier and leaner than the aroma implies. I hope Hardywood keeps turning out IPAs like this. Troegs First Cut IPA pours a clear, golden color with a fair amount of foam. The aroma is so mild that it’s hard to smell anything. At least it doesn’t stink, I guess. The flavor is mild, too. Mild to nonexistent, actually. 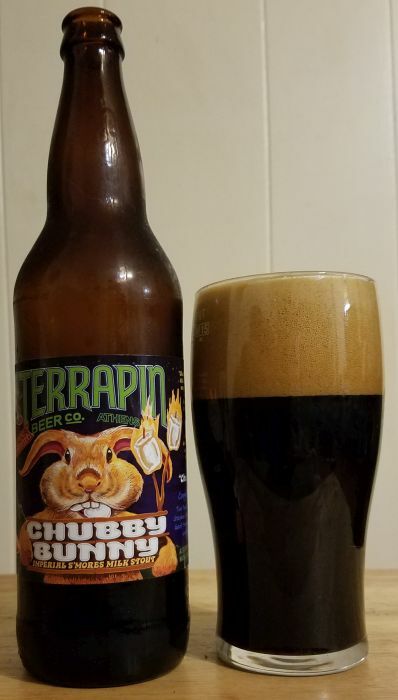 I pick up a little bit on some hops in the close, but there’s just nothing much here to comment on. 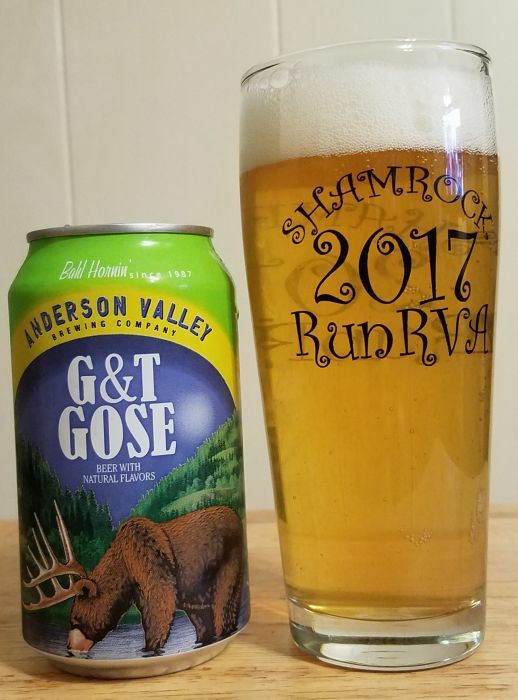 I guess at least it doesn’t taste bad. 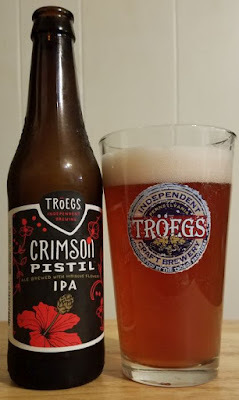 I’ve never had a hibiscus beer that I like very much, and I didn’t expect to like Troegs Crimson Pistil Hibiscus IPA. But it actually ain’t bad. It pours orange in color with a bit of foam. The aroma is that perfumy, funeral home quality I’ve come to expect from hibiscus beer. 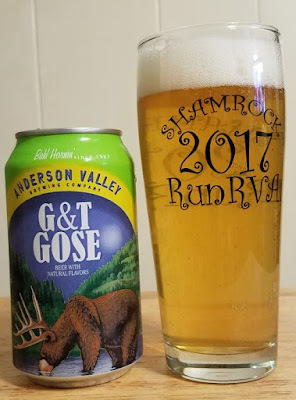 There is a little bit of hops there but mostly it’s that waxy floral thing. The flavor is better than the aroma. It’s malty, the hops may have faded some in this bottle, but it really doesn’t taste bad. The hibiscus is in the background on the flavor in spite of it’s dominance of the aroma. It tastes alright. 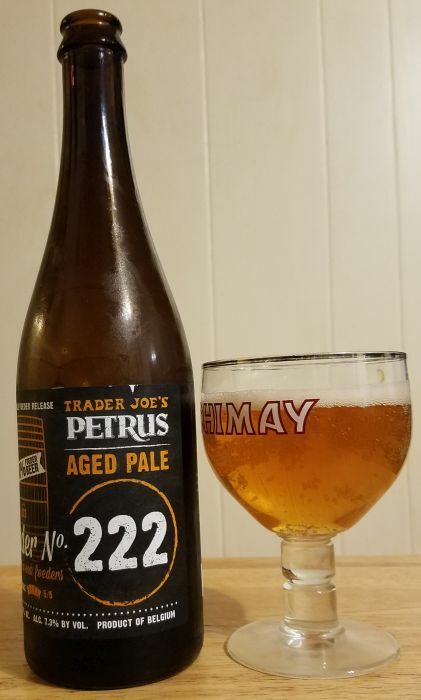 This single foeder batch of Petrus Aged Pale Ale (from foeder 222), brewed for Trader Joe's, is a good beer. I don't think I like it quite as much as the version of the ale that Petrus releases on their own label, but it's still a very good wild/sour ale. The aroma is creamy and tart, some vanilla and lime, a little spice. I don't think it is as complex as I remember the regular version of this ale being, but it still smells great. Tastes great, too. It starts out slightly sweet before turning very strong and sour midtongue. Dry on the finish. I'd drink this again, and at Trader Joe's prices, I consider it a very good bargain. 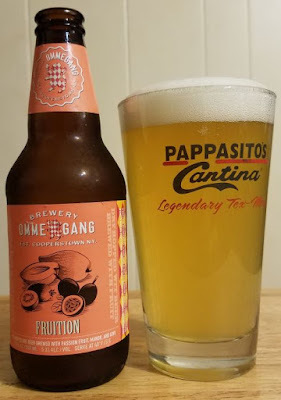 Ommegang's Fruition is a decent wheat beer brewed with fruit. 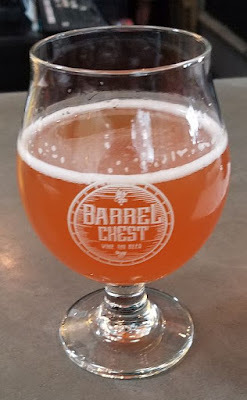 The fruit is there but it’s subtle, you can still taste the base beer and tell that it’s a pretty good wheat beer. It pours hazy yellow with a lot of foam. The aroma is the usual yeasty, banana type wheat beer thing. There is some presence of the mango and passion fruit adding a tangy quality to the smell. 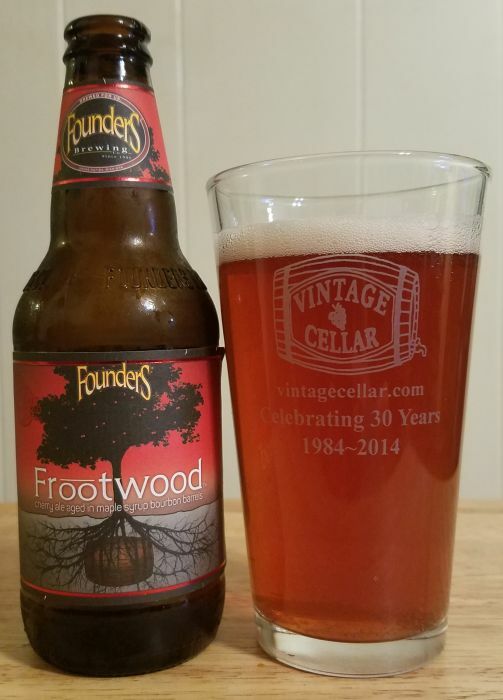 The fruit is on the flavor, too, in the finish, after a warm malt and some dry hop kick. Are you a combination of adventurous and suicidal? Would you like to go for a hike without enjoying it? Do you like running but lament the low likelihood of a crippling injury on roads and tracks? Would you enjoy playing guessing games, like "Is It Venomous?" and like "What The Hell Is Bleeding Now?" If so, then trail running is the sport for you!"